Glenn Hansen is the Southern California Regional Managing Principal for OneAccord. He and the OneAccord Team help companies accelerate sales growth through Interim Management. They consistently execute successful sales strategy because they are a team that has "been there, done that". The OneAccord Team is comprised of former, successful CEO's and Senior Executives. Glenn spent over 25 years as a highly successful senior management executive of national and regional retail chains. He has deep experience in selling Business-to-Customer and Business-to-Business. In the last couple of years with OneAccord, Glenn has been a catalyst for dramatic sales growth as an Interim Executive. We will be discussing Jim Clifton's book: The Coming Jobs War. Drawing on 75 years of Gallup studies and his own perspective as the company's chairman and CEO, Jim Clifton explains why jobs are the new global currency for leaders. More than peace or money or any other good, the business, government, military, city, and village leaders who can create good jobs will own the future. The problem is that leaders don't know how to create jobs - especially in America. What they should do is recognize that the world is in a war for jobs. It seems that leadership has lost the will to win, especially in America, but this is a competition for our lives. To win, leaders need to compete. Everyone does. The public school system needs to inculcate kids with the knowledge they'll need to compete in the jobs war. The business community needs to double the psychological engagement of workers so that it can compete with cheaper labor. The healthcare system must stop wasting the resources that we need to spend on job competition. Society needs to realize that entrepreneurs, not government, are the source of new jobs and put all its energy behind them. Perhaps most importantly, leaders need to recognize universities, mentors, and especially cities as a supercollider for job creation. If that can be done - and it can be done; leaders have done it before - new good jobs will result. There's not moment to waste: the war has already begun. For her book, "Headtrash," to be published in the Fall, CEO and Consultant Tish Squillaro has identified what she views as the seven emotions that muddy the thinking of top executives to the point where they lose control of their ability to lead. Among these logic inhibitors, says Tish, are Fear, Anxiety, Arrogance, Insecurity, Anger, Guilt, Paranoia and Control. Any one, or a combination of these emotions, Tish says, can cripple an executive and render him or her ineffective. No wonder Tish's phone often rings in the middle of the night. It is likely to be a CEO asking for advice. Tish has not earned the moniker "CEO Whisperer" for nothing. "It's lonely at the top," says Tish. "CEOs and other top executives don't like to admit vulnerability or indecision in the workplace. When they need expert advice their staff often tells them just what they want to hear. My job is to tell them what they should hear, not what pleases them." As the CEO of CANDOR Consulting (http://www.candor-consulting.com) Tish takes candor to the next level. "Unlike a traditional consulting company," she asserts, "we don’t just offer theory and advice. We collaborate with and immerse ourselves in our client's business. We become more like a partner than a consultant and that allows us freedom to say just what we think." 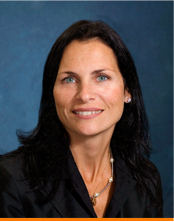 Tish Squillaro, CEO, has more than 17 years experience advising executives in strategic planning, organizational dynamics and human capital allocation. Her progressive vision and adaptive approach to practical application makes her particularly effective in collaborating with senior management. Her career spans a variety of sectors, including technology, pharma, construction, manufacturing, life sciences, retail, professional services and media. Before forming CANDOR, she was Co-Managing Partner at Penn Valley Group. Earlier, Tish ran Metis Corporation, a business consultancy, where the client strategies she developed shifted the approach from reactive to a more strategic, proactive approach. Tish also served as an executive for RealTime Media and Director of CLE for Willkie Farr & Gallagher. Her strategies for pointroll, Cadient Group, Johnson Matthey and the Granary Associates, cut costs and liabilities as they improved productivity and efficiency. Vak is an active community evangelist for Orange County Technology. As the co-founder and architect of Pageable, Vak drives the development of product strategy, market research, and small business customer acquisition efforts. Along with cofounders, Val Catalasan and Eric Lumba, the team at Pageable created an online marketing platform for small business owners that are looking to drive sales through an easy and simple D.I.Y deal page creator without any I.T. or design experience. Vak got his entrepreneurial start at SMC Networks in 2001, where he co -developed the industry's first EZ 3-Click Router Installation software. After the development of the software, Vak was later promoted to manage the company's first in-house R&D for SMC Networks, North America. In the following year, Vak left SMC Networks to begin his first company, Medmania, Inc., where he developed a patent pending question and answering software process for educational learning. In addition to starting Medmania, Vak founded other successful web properties such as Campusbug (a social learning network) and Techzulu (a technology news reporting blog site for Southern California). In 2008, Medmania acquired the operating rights to Crushspot.com, an urban dating site, where he grew the site to 100 million page views per month with 1 million users registered in less than one year. Vak received his major in Biology and minor in Behavioral Psychology from Allegheny College, Meadville, PA.
John is a popular speaker and consultant in the areas of marketing and social media. He is the Executive Producer at PhD Labs in Ontario. PhD Labs is a premier web application development firm with the experience and expertise to help businesses succeed. Their application development services are used by some of the world's largest companies, and by exciting technology start-ups. Their dynamic websites typically involve business logic, databases, and API integration. At PhD labs they are not only experts at what they do- they enjoy doing it. Their method of high-touch client interaction is one that involves listening as much as talking. It's a more personable approach that treats every client like a partner and a colleague. Once you get to know their team, you'll feel confident that your project is in capable and caring hands. PhD Labs is a premier application development company, providing social, mobile and web solutions for some of the world's largest companies. It was late 2011 when CrowdFunding LIVE was founded. After working together toward the first live event (June 9th, 2012), Aggie Kobrin, Deb Augur and Debe Fennell, decided to take the next logical step and start a full fledged crowdfunding site to help "idea people" (especially women) get the funding they need to take their best ideas LIVE! The three women formed a partnership around the idea of helping people succeed at their attempts to raise money through crowdfunding. The sad fact is most people don't reach their funding goals by the end of their campaigns and usually walk away with no reward for their efforts. Others have a hard time deciding which crowdfunding site to go with and still others are rejected, not knowing where to turn. People need help to do it right! Unfortunately that help is not easy to find. At CrowdFunding LIVE you'll find the help you need. They're looking for people - just like you - with strong ideas and plenty of fortitude to make it work. If that's you, this is the right crowdfunding source for you! Debe Fennell is a 40 year veteran of public relations, marketing and promotion through her own business, the music industry and various capacities in real estate, educational companies and for non-profits. Ms. Fennell spent many years in the music industry as a journalist for Radio & Records, a national trade newspaper, as a talent coordinator for two nationally syndicated radio shows for Emerald Radio Network, 10 years as a national records promotion executive for Sony/BMG, Curb Records, Magnatone Records and Giant Records. She has managed public relations, affiliate relations and marketing for noted speaker/author Loral Langemeier, handling national TV, radio, print and book publishing. She conducted high-end relationship management, including event speaker coordination with notables like Bob Proctor, John Assaraf, Armand Moran and Zig Ziglar, including media relationships with The View, Dr. Phil, Fox Business Channel, Harper-Collins, McGraw-Hill and Hay House, among others. She has managed web-based affiliate marketing campaigns and internal marketing to existing clients, including the oversight of copy creation and editing, brand management, leads list management, team leadership, outside vendor management, website landing and sales page oversight, and affiliate relations with all affiliate partners.